Half-term and summer holidays are just around the corner and many of you will be snapping away capturing your favourite holiday memories on camera. To give you a little creative challenge for the summer months, the people at Spreaditfast have come up with a competition for you. Simply upload a holiday picture that shows why YOU deserve to win a new camera to the Spreaditfast Facebook page. Spread the word about your entry, and get your friends and family to help you by liking your picture. 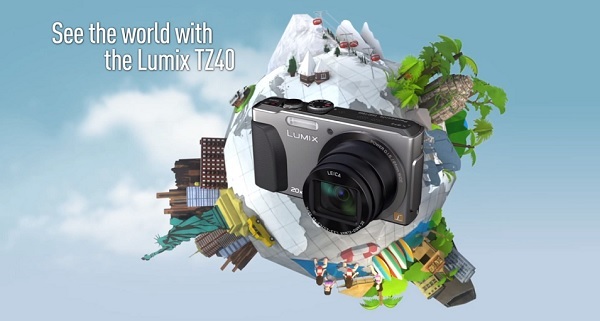 The camera you can win is the Panasonic TZ40. It’s a compact and technically advanced camera, which will be the perfect travel companion when you discover the world’s most beautiful places or your neighbourhoood. With an 20x optical zoom and a 24mm ultra-wide-angle LEICA lens, the Panasonic TZ40 allows you to photograph everything from impressive panoramas to minute details and share them easily with your family and friends while on the go. Even low-lit details are captured with astonishing clarity thanks to an improved MOS sensor and image processing technology that enable high-speed auto focus. Sounds good? Get snapping and good luck! This post was brought to you by Spreaditfast.